Situated in Burford, this inn is 0.2 mi (0.3 km) from Tolsey Museum and 2.5 mi (4 km) from Cotswold Wildlife Park. Cotswolds Woollen Weavers and West Witney Sports and Social Club are also within 6 miles (10 km). 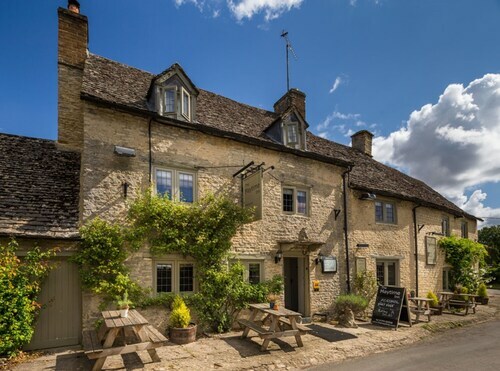 Situated in a rural location, this inn is 2.8 mi (4.6 km) from Tolsey Museum and within 6 miles (10 km) of Cotswold Wildlife Park and West Witney Sports and Social Club. Witney Lakes Golf Course and North Leigh Roman Villa are also within 6 miles (10 km). Situated on the Strip, this luxury guesthouse is 0.1 mi (0.1 km) from Tolsey Museum and 2.8 mi (4.5 km) from Cotswold Wildlife Park. Cotswolds Woollen Weavers and West Witney Sports and Social Club are also within 6 miles (10 km). 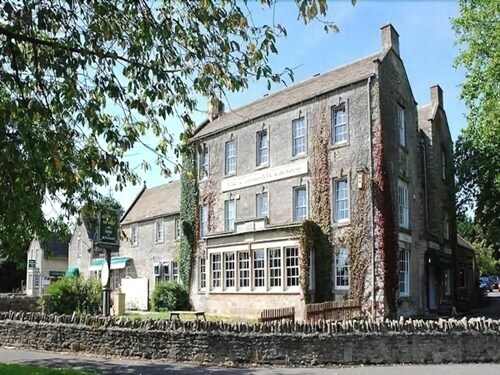 Situated in Burford, this inn is 0.1 mi (0.1 km) from Tolsey Museum and 2.7 mi (4.4 km) from Cotswold Wildlife Park. Cotswolds Woollen Weavers and West Witney Sports and Social Club are also within 6 miles (10 km). Situated in Burford, this inn is 0.1 mi (0.2 km) from Tolsey Museum and 2.8 mi (4.5 km) from Cotswold Wildlife Park. Cotswolds Woollen Weavers and West Witney Sports and Social Club are also within 6 miles (10 km). 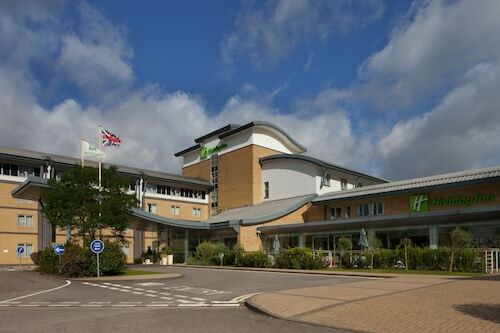 Situated in the suburbs, this hotel is 0.1 mi (0.2 km) from Tolsey Museum and 2.8 mi (4.5 km) from Cotswold Wildlife Park. Cotswolds Woollen Weavers and West Witney Sports and Social Club are also within 6 miles (10 km). Situated in Burford, this romantic hotel is 0.1 mi (0.2 km) from Tolsey Museum and 2.8 mi (4.5 km) from Cotswold Wildlife Park. Cotswolds Woollen Weavers and West Witney Sports and Social Club are also within 6 miles (10 km). So, you're considering a trip to Burford? If you'd like to find accommodation that's located near the sights, you can enter your holiday dates and then use the filters beside your hotel search results to find somewhere to stay near the area's attractions. 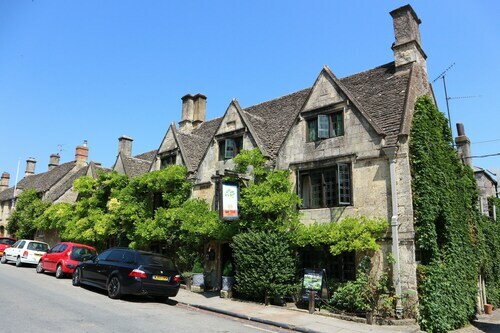 You can choose among 15 Burford hotels and accommodation options to find a place you'd like to stay. 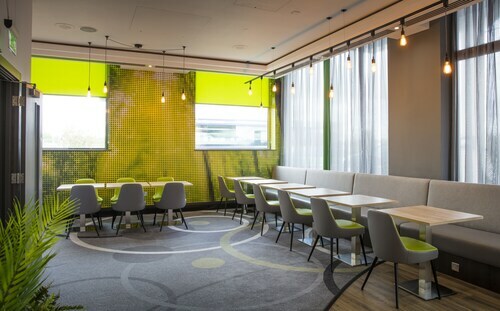 When you're thinking about where to stay in Burford, you'll be able to quickly and easily search ebookers for hotels offering services such as high-speed Internet, a swimming pool or free airport transport. You can take advantage of the filters to narrow down your search for a hotel, so you can get the services that are important to you, such as an in-room kitchen or air conditioning. When making plans for your holiday in Burford, you can also use ebookers to look for a convenient flight into Oxford (OXF) Airport. You can narrow down your search by number of stops, airline or time of departure to find the one that'll meet your needs. When is the Best Time to Explore Burford? If you're curious when is the best time of year to visit Burford, you may find this information about seasonal weather helpful when you are organising your getaway. The warmest months in Burford are typically July and August, whereas the coldest months are usually February and January. The months with the most rain are November and December, whereas June and March have the least. The annual rainfall average in Burford is 855 mm. Nice and clean, good location for exploring Gloucester, Cheltenham and other surrounding little villages/towns. I had contacted the hotel leading up to our visit due to it being for mine and my boyfriends’ birthdays which I had asked if the hotel were able to add a little message or something to the room, a few questions were asked and exchanged but on arrival sadly didn’t hear anything of it being for our birthdays. Also rang everyday for a week to book spa treatments but nobody answered the phones so when I emailed they were already fully booked. The ‘amazing views’ that I had read about were a little disappointing opening the curtains to see a tree. Bar and restaurant quite nice albeit a little pricey which is expected in a hotel. Spa was relaxing with seating around the pool to relax at. 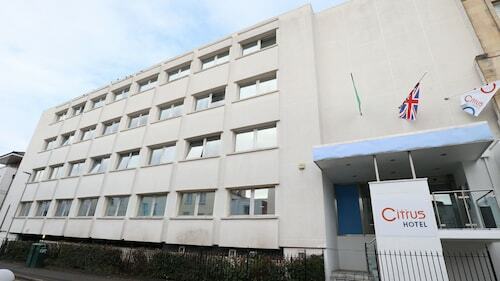 Very historic building, nice spacious clean rooms, most excellent breakfast. The property is beautiful and gives you a real feeling of the cotswolds. The steps are steep however and there's no lift, so not for anyone with problems with stairs. The breakfast is a buffet breakfast and i found it a bit dry and neglected however as always, i enjoyed my stay.